((SL Advertiser)) Velocity stylebar invites you to sit back, relax and get styled. Velocity stylebar is a paid advertiser of Sonoran Living. Velocity stylebar, a place where you can relax, be spoiled, and let your hair down. Paradise Valley resident owned and operated and located in Arcadia on the corner of 44th street and Indian School Road. They are a Blow Dry Bar that provides blowouts, braids and waxing, just to name a few. 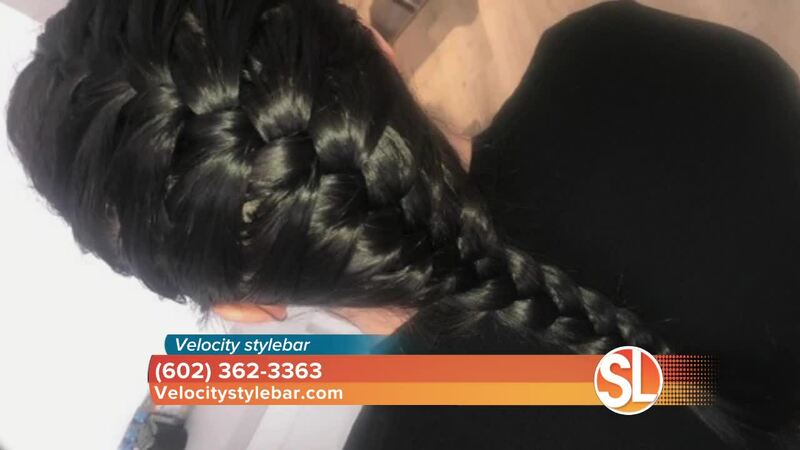 Velocity stylebar does not provide haircuts, coloring or chemical services, however they are available to provide all your hair styling necessities. They are a Cruelty Free, Vegan hair salon, so no testing on Fur Babies! They also supply services for special events like baby showers, that out of town flight or your special day. Even if you do not have a special event, it is a terrific way to get that runway look and feel without the expense of spending hours in a salon. They do provide online, walk-in and phone call scheduling in addition, to accommodate your scheduling needs. Velocity stylebar carries hair care products and gift cards that are available for purchase. You may find them on the Vagaro app, Facebook, Instagram and in Life In Paradise Valley Magazine. Feel free to contact them and ask about their memberships and ongoing specials at (602)362-3363, or go to Velocitystylebar.com .